Definitely the best use of this format I've ever seen. I also picked a lot of the mystery ahead of its reveal, but not everything! And I like it when I can't pick everything. John Cho is an absolute champion, and _Searching_ genuinely met my expectations. 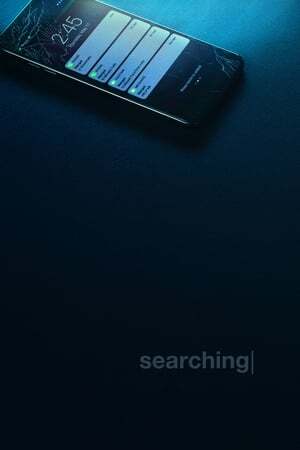 Searching is an interesting achievement in the manner of which its events are captured on the screen. The entire movie is told through a computer. From emails, Youtube videos, live streams, Facetime chats, everything is told via a digital interface. The story revolves around a father (John Cho) whose teenage daughter has gone missing. In his efforts to find her, he scours through emails and video blogs she has posted, learning more than he ever knew about her as he tries to track her down. There is a lot to push aside while watching Searching. But while culpability gives way to the unique presentation, it isn't over the top enough to ruin the thriller. I was actually pretty locked in throughout most of it, grasping on to a sort of Hitchcockian type feel with a modern cyperspace twist woven into the fabric. Cho proves that he can play the leading man with ease. I have always been a fan of his acting chops and I hope Searching opens up some doors for him. Kudos also go to Michelle La, showing a nice range as the missing girl as she hides her angst from her dad in moments caught on old video files. Debra Messing was not as impressive playing the lead investigator in his daughter's case. It felt at times like she was phoning it in a little, maybe not used to playing to a webcam. Still, props to director and writer Aneesh Chaganty for putting together a mystery with such an interesting lens.